I’ve never been much of a trend-setter. Or a trend-follower. Without thinking twice, I can say no to piercing my belly button or camping out in a movie theatre parking lot to buy a “Star Wars” ticket or owning a dog tiny enough to fit in my purse. So I was willing to let the adult coloring book craze pass me by, too. It’s not that I don’t like to color. Some of my happiest childhood memories include a fresh coloring book and a big box of sharp Crayolas. I colored with my own children when they were little and can’t wait to do the same with my grandkids. But I hadn’t been tempted to buy an adult coloring book until I was cruising the book aisle at Sam’s Club in early December. Donald Trump, dressed as Superman and standing in front of the Trump Tower, adorned the front cover of a coloring book. Intrigued, I picked it up and flipped through it. There was the Donald standing in the bow of a rowboat–in George Washington’s spot, of course–as it crosses the Delaware. There he was again, signing the U.S. Constitution. Defending the Alamo. Piloting the Enola Gay. Walking on the moon. Playing chess with Vladimir Putin. Arm wrestling Hillary Clinton. And lots more. Fifty pages in all. Into my buggy the coloring book went. Not because I’m a fan of the Republican front-runner. But I do love satire. 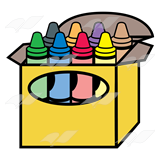 At home, I found an eight-pack of crayons in the back of a desk drawer. I chose a picture of Trump dressed as a Pilgrim and standing in front of the Mayflower and began to color. That’s when I made my first discovery. Unlike typical coloring books for children, the paper in adult coloring books is too high quality for crayons. It’s heavyweight and snow white and so smooth that wax doesn’t stick to it very well. Because I didn’t have any colored pencils or fine-tipped markers, I laid the coloring book aside. Christmas got in the way before I could pick it up again. To my surprise and delight, a friend gifted me with some “Calm, Create, Connect” coloring posters and a set of colored pencils. Then daughter Meg gave me a “Botanicals” coloring book and a box of ten markers for my birthday. When the busy-ness of the holidays was over, I settled in by the fire on a cold and gray Saturday afternoon. The TV was tuned to SEC Network and my coloring things were spread on the coffee table in front of me. I would keep one eye on the basketball game and the other on my coloring book. Which, as it turns out, is not as easy as it sounds. The page I had picked was filled with flowers. Flowers that deserved to be vibrantly colored, so I chose markers over pencils. Good thing they were sharp, because it sure wasn’t easy to stay in the lines. Who knew that a coloring book could be filled with such fine detail? And who could have guessed that ten markers wouldn’t be enough? Leaves and petals were outlined so that the artistically inclined could shade them to look real. But I had only one green. One red. One purple. And so forth. There would be no subtle artistry on this page, and not a whole lot of staying in the lines. Because it turns out that I like watching basketball more than coloring a pretty picture. So I put away the beautiful botanicals and pulled out my Trump book, found my box of Crayolas and began coloring with reckless abandon. Which seemed somehow appropriate.